Pandora is a popular international brand of jewelry that was formed during the year 1982 and is headquartered in Denmark. The company was started as a family-owned jewelry shop in Copenhagen. Pandora brand is famous for its designer rings, customizable charm bracelets, necklaces, watches, etc. This company has its production site in Thailand and it markets its products in about 100 countries having more than 7,800 points of sale. Pandora jewelry produces and sells many personalized jewelry and to provide this the company provides end to end control of its operations. It controls manufacturing, in-house design, global marketing, and direct selling. As Pandora jewelry is a popular brand of jewelry, it does see some strong competitors. Through this article, let us discuss some top Pandora jewelry competitors. 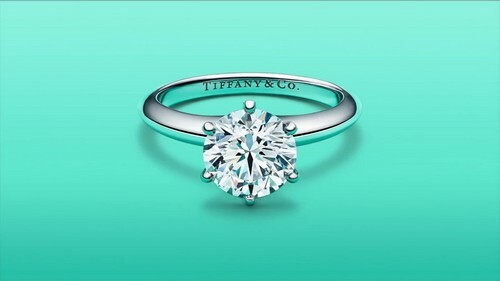 Tiffany is a popular retail industry in jewelry that was formed during the year 1837 and is headquartered in New York, United States. The company sells authentic silver jewelry, crystal, China, fragrances, and some leather goods. Tiffany products are sold at Tiffany stores and also through direct-mail and corporate merchandising. The diamond jewelry that is produced under the Tiffany label is highly popular and is a leading light in the diamond market. Over the years, it has developed a rich history of luxury. It started as a stationery and fancy good store and gradually progressed into the biggest jeweler brands of all times. The company has set an example of fixed pricing that was non-negotiable. It also guaranteed the credit system with the main goal of attracting the best customers who will be able to pay upfront for their purchase. The Tiffany jewelers make unique designs that are a signature to the brand and are acknowledged globally. It has also been known for its high level of trust among its customers because of its product quality. As it is acknowledged worldwide, Tiffany jewelry is considered a top Pandora jewelry competitor. A popular online jewelry retailer, Blue Nile was established during the year 1999 and is headquartered in Washington, USA. The Blue Nile is an online retailer that was started by Doug Williams & Son of Seattle with the intention to sell diamonds online. The Blue Nile has more than 100,000 certified diamonds prepared using attractive materials and skilled craftsman. Quality is a no compromise for the brand and it consistently exceeds customer expectations. The main strength of the brand is that it is one of the largest online sellers of diamond in the USA. It has a huge choice of about 33,000 options available. The company deals with wholesalers directly for the shipping to the users and because of this, they do not have to invest in inventory and space. 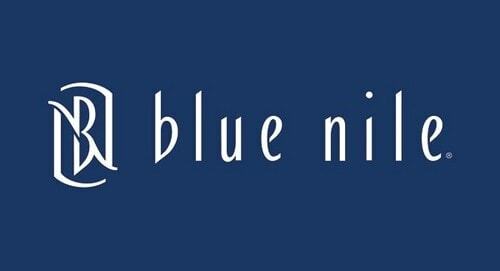 Every online order of Blue Nile is guaranteed with fast delivery with free shipping. Custom orders for diamond jewelry receive free of charge overnight shipping. It provides a risk-free shopping experience to its customers and provides a 30-Day money back policy. The company has about 500,000 customers that have trusted the Blue Nile for their engagement ring. Due to its owing popularity of serving diamond customers through an online platform, Blue Nile is indeed a top Pandora Jewelry competitor. 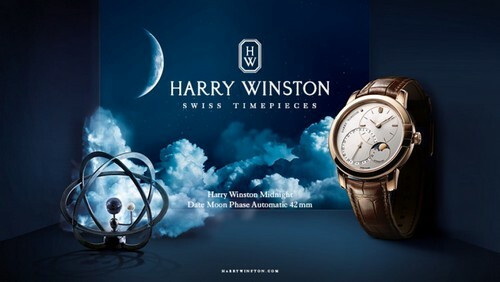 Harry Winston is an American jeweler who has transmuted diamond into modern jewelry and watch design. This brand was founded by Harry Winston during the year 1932 in New York. He is an intuitive businessman, an inborn gemologist, and a dedicated philanthropist. This brand has set the standard for fine jewelry. Over years he established this brand of jewelry and watchmaking. This brand has the rare jewels in the world by providing extraordinary designs. Its designs are placed as an exceptional and timeless beauty among its customers. This brand has been in the industry for quite some time and crafts the most beautiful jeweler. Harry Winston’s diamond has become an image of international style. The designs are produced by high-quality craftsmanship and produce exclusive designs. This diamond brand is seen in almost 10 countries. Due to its strong brand value and unique designs, Harry Winston is a top Pandora Jewelry competitor. 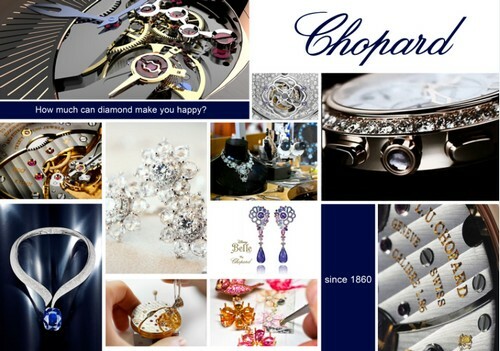 A popular Swiss brand of jewelry and watchmaker, Chopard was formed during the year 1860 and is headquartered in Geneva, Switzerland. Chopard produces high-quality jewelry and high precision watches and is noted for its quality craftsmanship, innovation, and authenticity. Known for its creativity and its state-of-the-art technology, Chopard has become a leading brand in the watch and jewelry industry. It offers a complete collection of jewelry and watches. The latest ‘Time Check’ campaign initiated by Chopard finely integrates the brand values and guarantees perfect product placement. The main strength of this brand is that it is fully manufactured in-house thereby ensuring the highest quality of standards. Due to its design being glamorous and having a beautiful image, this brand has become the official partner of the Cannes film festival. This brand is always welcomed by the jewelry lovers as it produces a high-quality product and possesses a strong brand presence. Due to its association with prestigious events related to film festivals, motor car racing, Chopard is a top Pandora Jewelry competitor. Graff is a popular British multinational jeweler that was formed during the year 1960 and is headquartered in London, UK. It is a vertically integrated company and its operations contain preparation of design, manufacture, marketing, and sale of jewelry and watches. Graff sticks to the Kimberly process to save them from any conflict diamonds. Most of the Graff diamonds are laser etched with a unique Gemological Institute of America tracking numbers. These numbers are invisible to bare eyes and only the origin can trace it. Graff is considered the most wonderful jeweler in the world that produces a distinct style. The main strength of this company is its craft that is done by experienced craftsmen who are expert in cutting, polishing, and making the diamonds. Having been in this industry for many years, it has a rich heritage and grown up to become perfect expertise in jewelry making. Each and every diamond carries the hallmark of quality and authenticity. Also a top Pandora Jewelry competitor, Bulgari is a popular luxury Italian brand that is known for its jewelry, watches, accessories, fragrances, and leather goods. Most of the design, production, and marketing are managed by the company, but at times it also partners with other entities through a licensing agreement. The main strength of this brand is its unique and contemporary style. The company has about 230 retail locations across the world and has about 4,000 employees serving for them. The products of Bulgari are available across a wide network of about 295 stores. This brand has an excellent brand value that is acknowledged globally. Their brand value is added through their marketing and advertising strategies used to reach to a wide number of customers. Due to their diversified portfolio of products, Bulgari is indeed a top Pandora Jewelry competitor. Zale is a retailing industry that was formed during the year 1924 and is headquartered in Irving, Texas. This was established when William Zale, Morris, and Ben Lipshy opened the first retail store of Zale in Wichita Falls, Texas. It provides high-quality merchandise at a feasible price. Zale jewelers provide a huge range of options for the customers who look for exceptional value and excellent quality in a jewelry. Their collections have everything that can be used from every basic to attractive diamonds. The main strength of this brand is its commitment to excellence and a trusted brand to all their customers. Zales products are available in about 785 stores in the United States and are one of the largest demand brands for diamond buyers. The company also provides an online purchase that adds a great increase in sales. As Zales has a decade of experience and proficiency in the diamond industry, it becomes top in the list of Pandora Jewelry competitors. Yet another top Pandora Jewelry competitor, De Beers is a mining and trading of diamonds industry that was formed during the year 1888 and is headquartered in London, United Kingdom. It is an international corporation that has its business operations in activities like diamond mining, exploration, retail, trading, and industrial diamond. It has its business operations in about 35 countries and their mining process takes place in Namibia, Botswana, Canada, and South Africa. 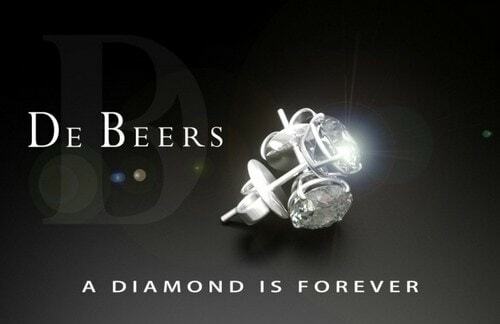 De Beers is one of the largest diamond brands in the world. The company has about 20,000 employees working towards their goal. De Beers provides the finest diamond jewelry that includes rings, necklaces, bracelets etc. through their 50 exclusive stores worldwide. It has a strong brand name and equity that is acknowledged worldwide. As it has its wide connection with the international celebrities who are the brand ambassadors, it is no doubt a great Pandora Jewelry competitor. under the name Kay Jewelers, Zales and many more. The company provides a wide range of collection like earrings, necklaces, rings, bracelets, and many more. This brand is considered a brand that brings happiness and joy. 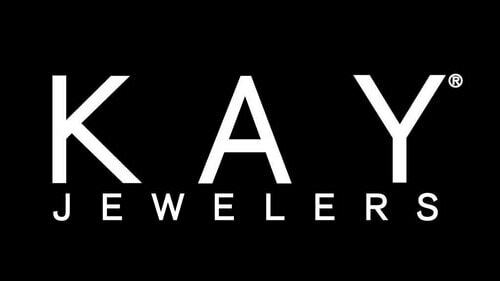 Over the years of its existence in the jewelry industry, Kay Jewelers has become one of the finest jewelers in the United States. Kay Jewelers enhances the tool by using technology. The company has a strong financial position and brand equity. As it has developed high brand awareness among US customers, it is a top Pandora Jeweler competitor. 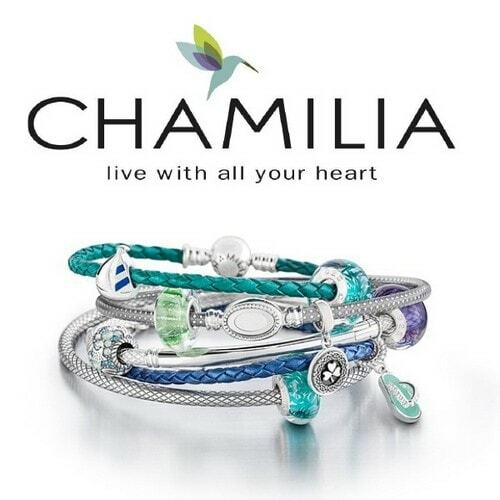 Chamilia is a popular brand of jewelry that was established during the year 2002 and is headquartered in New York. The company designs and sells charms and jewelry for women. It provides various products like jewelry, beads, charms, earrings, etc. The company sells its product through the online store. Chamilia jewelry is created to a strict quality standard. It continuously pursues the perfect blend of craftsmanship and technology. The company forms specialized artisanal groups that contain professionalized craftsman, who work in close teams and enabling the company to design great jewelry. This brand uses only the finest metals to create beautiful jewelry. All the jewelry of Chamilia is hand inspected at many points all through the manufacturing process to make sure that their customers are getting the best. The jewelry goes through a quality check to ensure that the jewelry meets the highest legal standards. Jewelry is an ever demanding rise for jewelry lovers. Pandora Jewelers always tries to innovate on the design to meet customer demand.